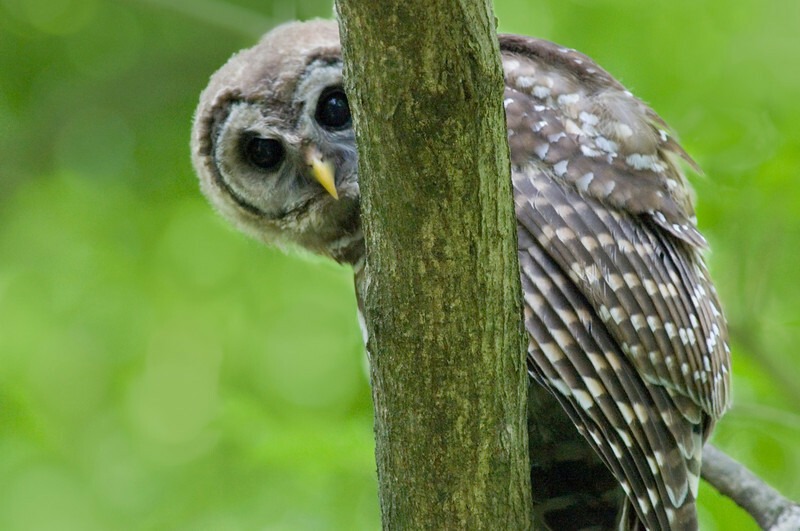 Barred Owl Peering around Tree. Pony Pasture Area, James River Park, Richmond, Virginia. The curious owl was looking at the photographer.